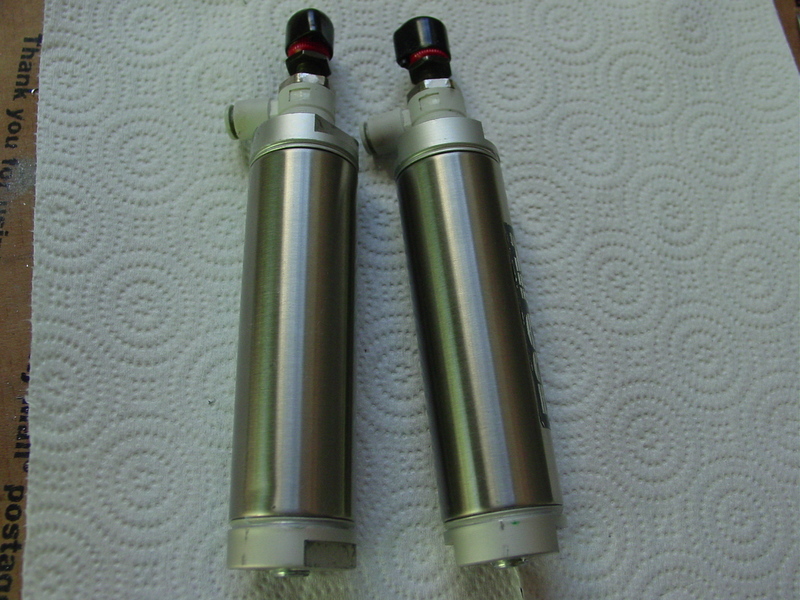 Final Update: I sold these subtanks along with the KYB OC forks after I got the KYB TC forks. When I was doing all my research on revalving my forks, I came across a number of references of sub tanks. Most of these were back in ’03-’05. They were really popular then and seem to have faded away. I believe the reason for that is because they don’t work well on twin cartridge forks. Since I have regular cartridge forks, I saved all those posts so I could come back to them when I got my forks set-up they way I liked. I repeatedly read that sub tanks won’t make bad forks good, but they’ll make good forks great. Now that I’ve got a good set-up with my forks, I can finally work on getting some sub tanks together. I was going to build a set myself, but found that eBay had more auctions for these than I had expected. I watched for a couple of weeks and wound up winning two auctions, both were about as cheap as it would cost me to build them from scratch. 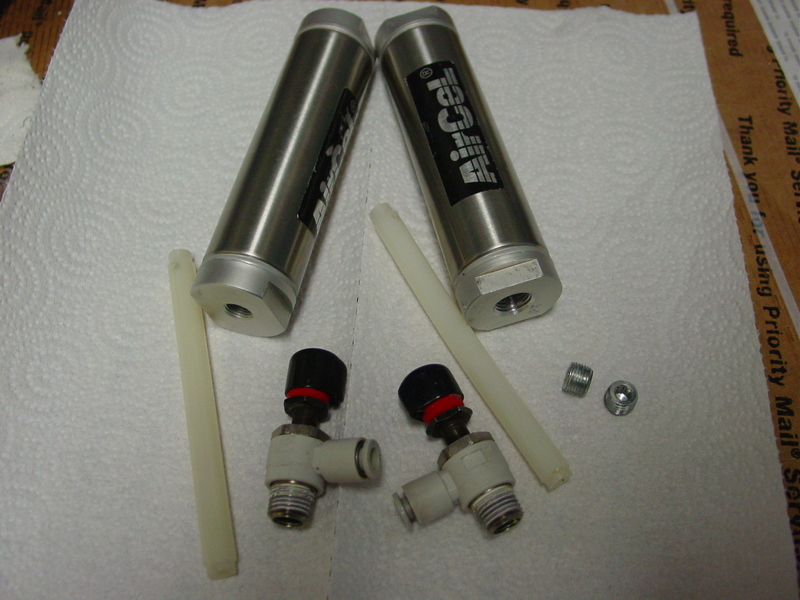 These are the Air Cells, they came with the fittings for the fork caps. Only problem was one was broken off, but for $41 it was a deal I couldn’t pass up. I read a lot of good things about both, but decided to go with the Air Cells. 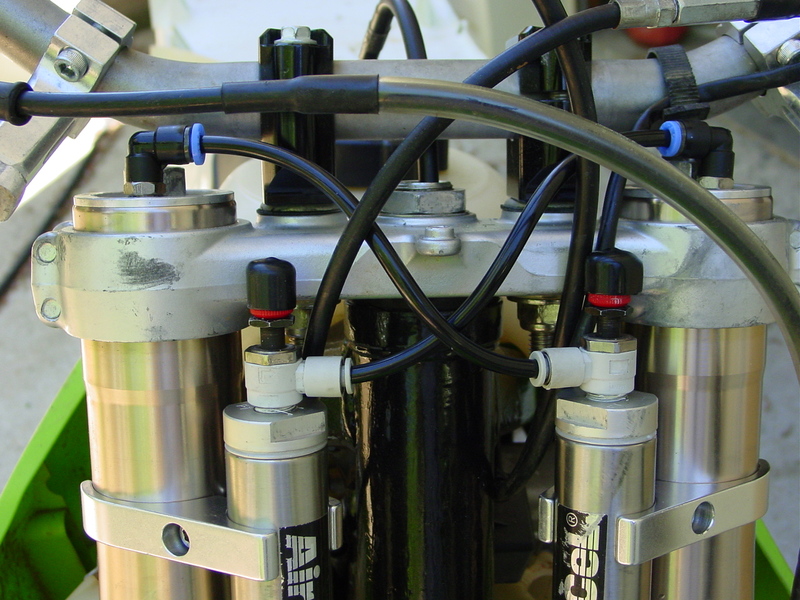 The primary reasons are the Air Cells are easier to adjust, they have built in bleeders and supposedly have a return oil system so you don’t have to drain the tanks. First thing I did was take them apart to clean them out. As you can see, there isn’t much to them. All cleaned up and ready for the next step. 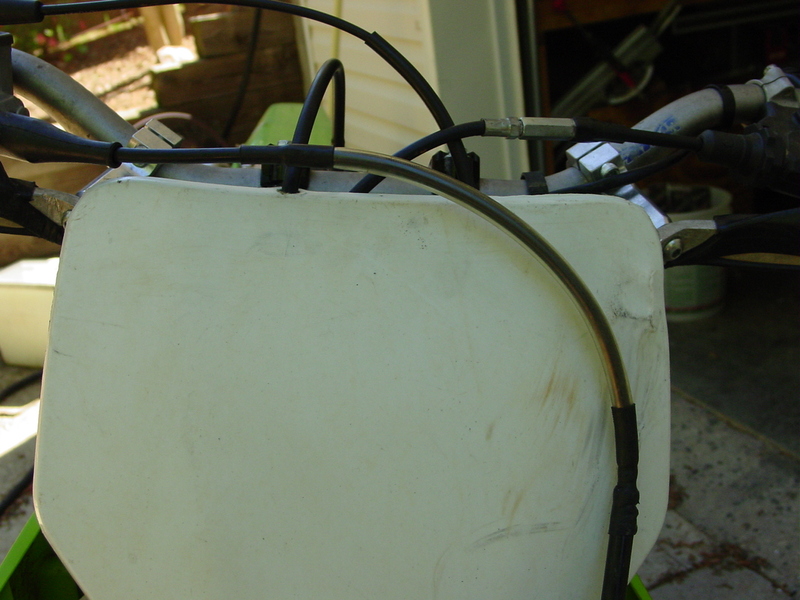 Now that the tanks were ready, I had to deal with that broken fork cap elbow fitting. 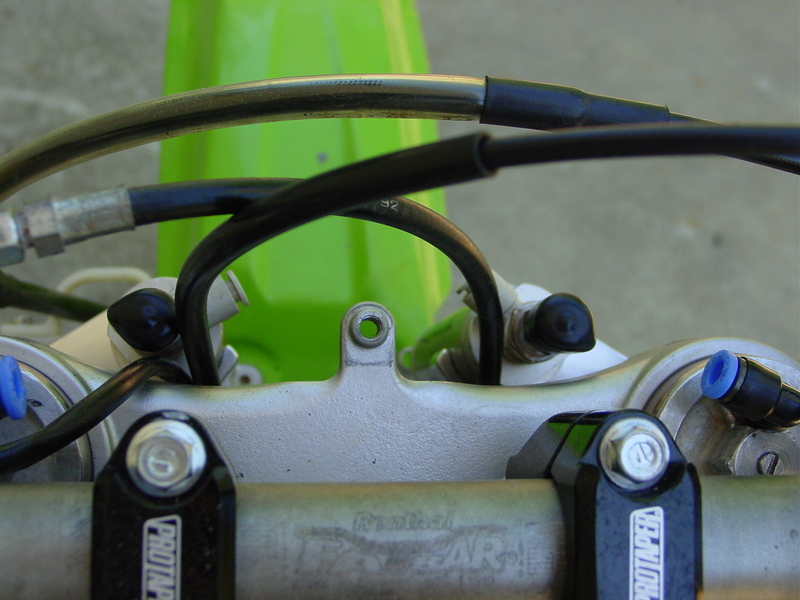 In my research, there was a difference in opinion on how the Inner Diamter of the fork cap fitting would impact performance. 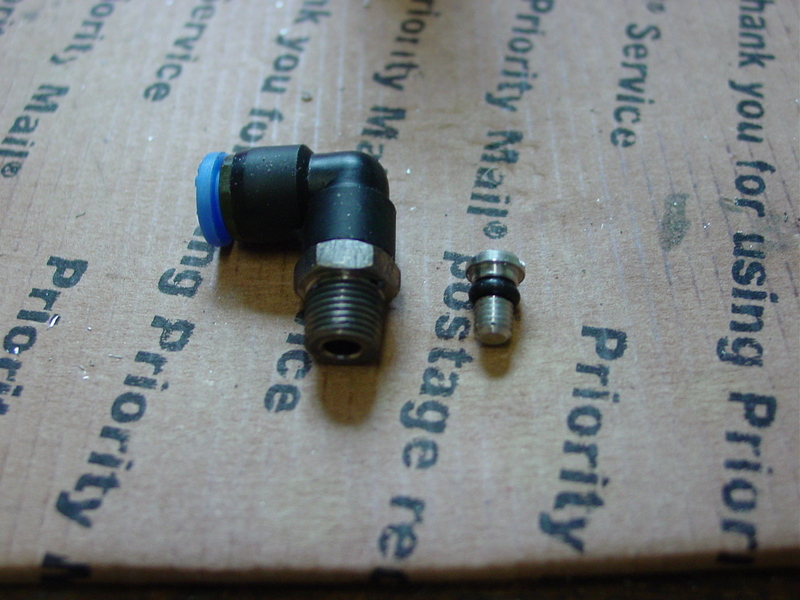 The fittings that replace the bleeder screw have a small ID. 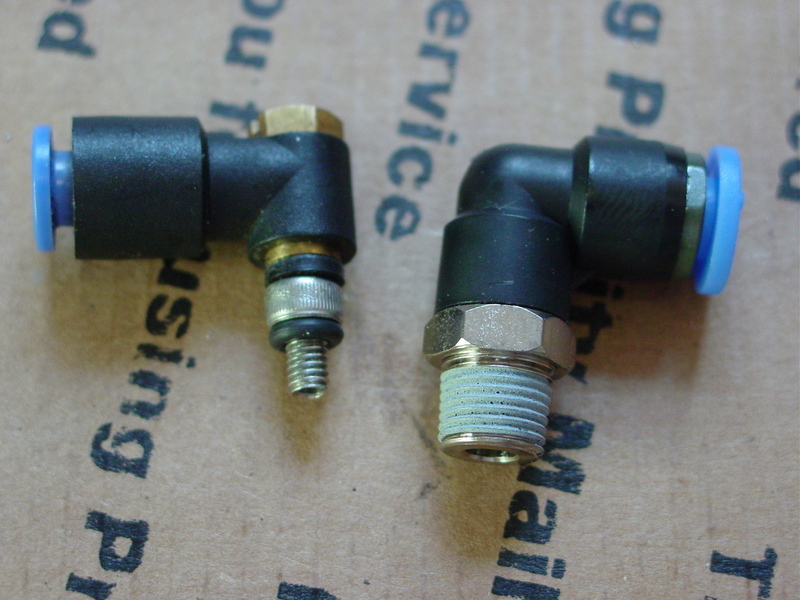 With the Air Cells, the elbow ID is smaller than the ID of the tubing, so other than the adjustable valves, these elbows represent a bottleneck. The argument against using these small ID fittings is that air movement in/out of the tanks is compromised and you can’t get the full performance impact out of the tanks. 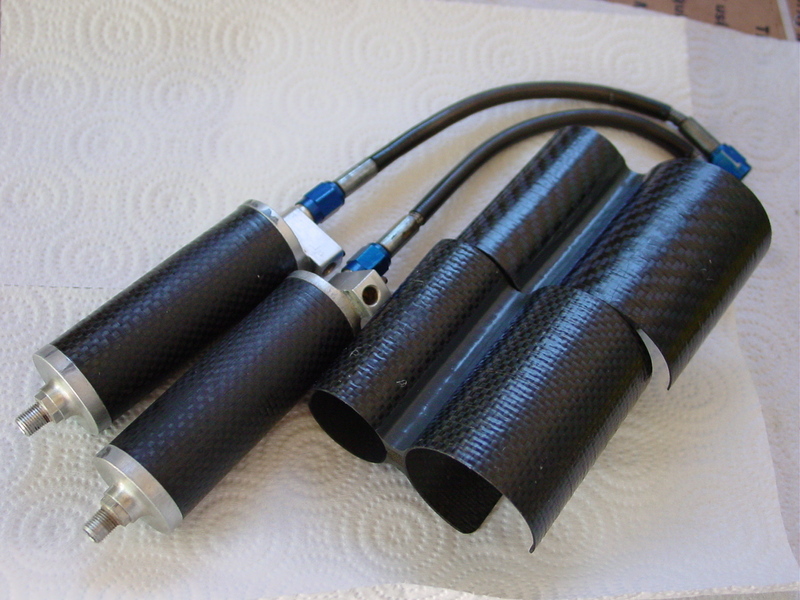 I don’t know if that is true, but I’m sure the manufactures provide these because it makes the installation easy and makes them easier to market/sell to the average rider. I decided to go with a larger ID fitting and tap/thread my fork caps. 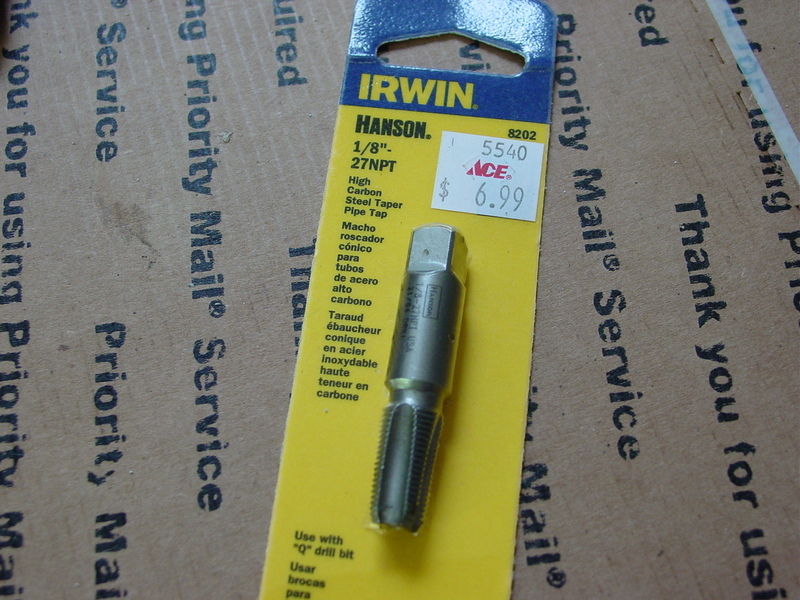 I found some 1/8″ NPT x 6mm fittings on eBay for $2.50. Here is a comparison of what came with the tanks and what I’ll be using. In the fork cap, the only real option is drilling out the bleeder screw. 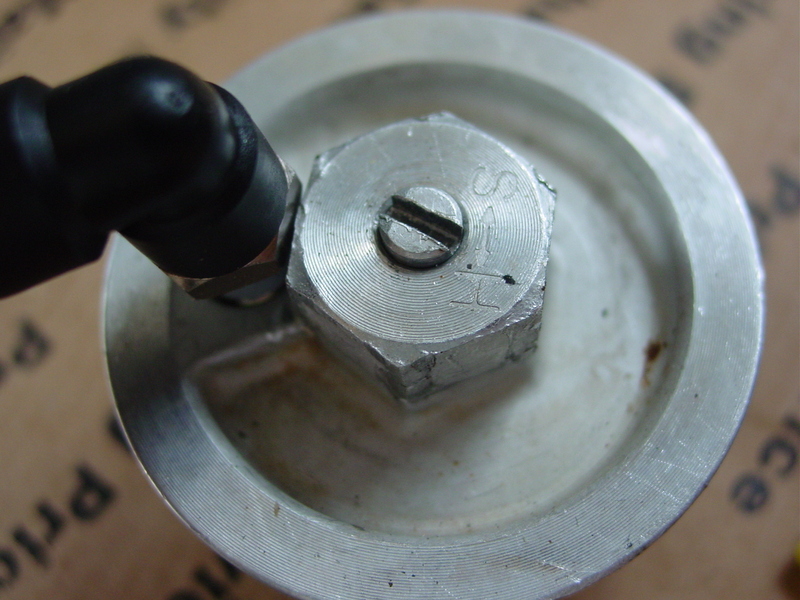 The 1/8″ NPT fitting is considerably larger than the bleeder screw, so there isn’t much extra room, especially when looking from the underside of the fork cap. 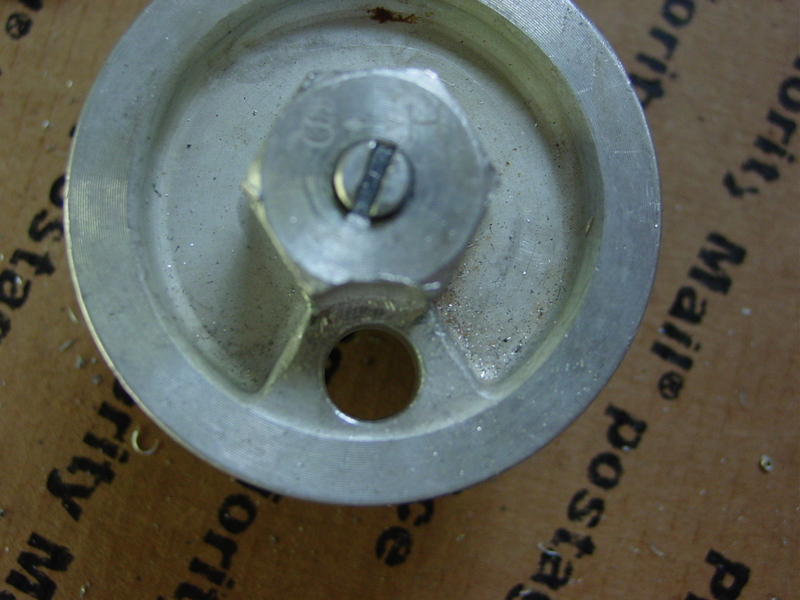 Big difference in diameter between the bleed screw and 1/8″ fitting. One manufacturer recommended drilling the hole at a slight angle and not threading in very far to gain clearance. I decided to go a slightly different route. First step was to drill out the hole. 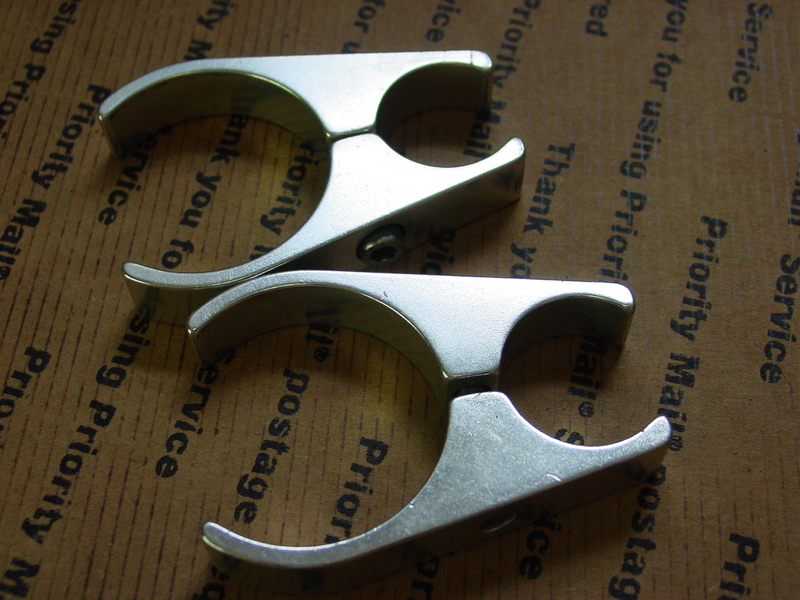 The packaging of the tap said to use a “Q” bit, I don’t have one of those and after doing a couple of practice taps on some scrap aluminum, the 23/64″ bit worked just fine. Not enough clearance between the hex on the cap and the fitting. 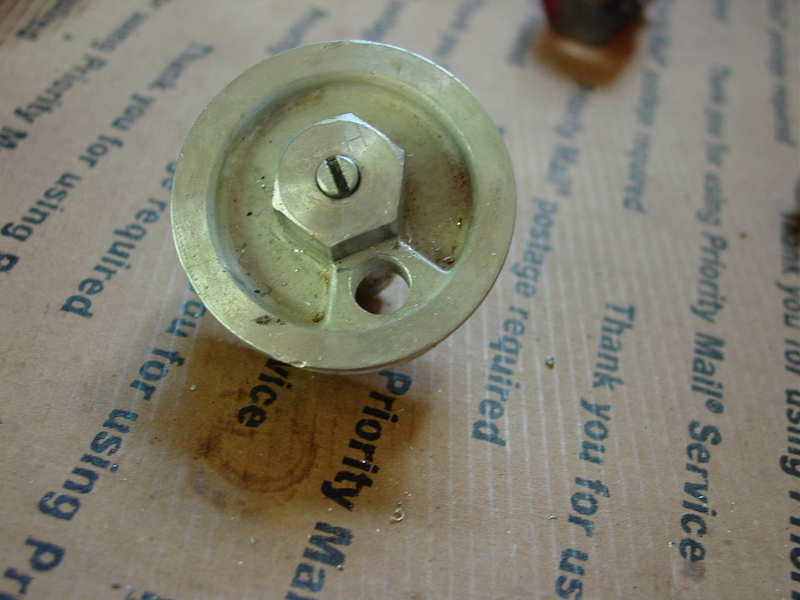 The solution was the grind out some of the hex fitting. Here it is after making the rough cut. 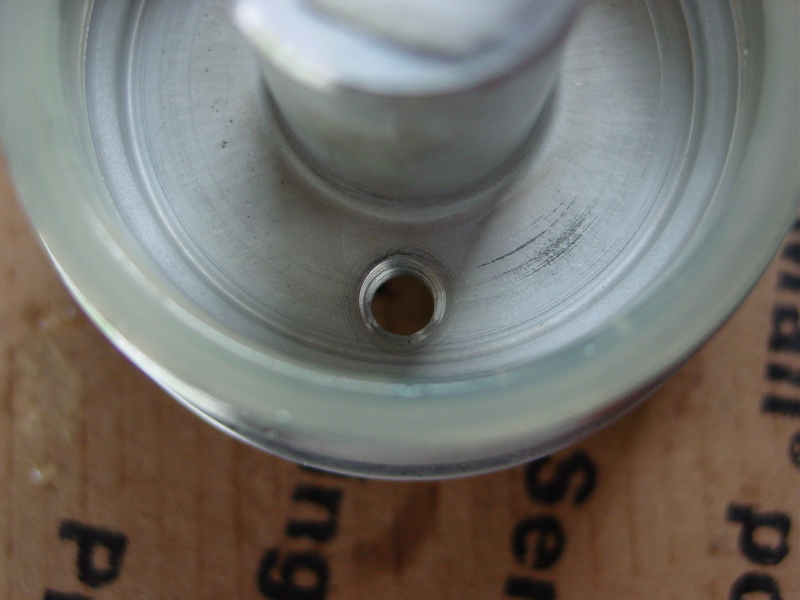 Then after tapping, the fitting threads right in. Now the fun and easy part. 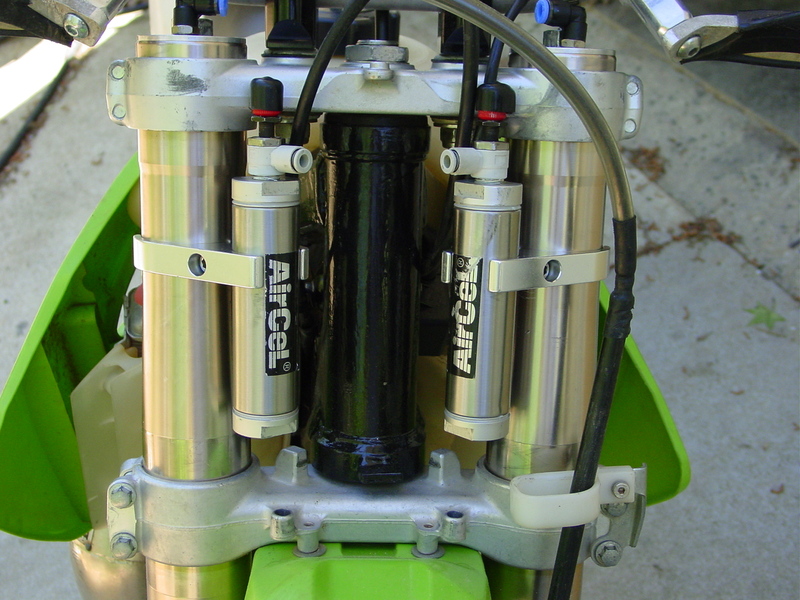 I decided to mount the tanks pretty low and tucked in on the fork tubes so they would be protected as much as possible. 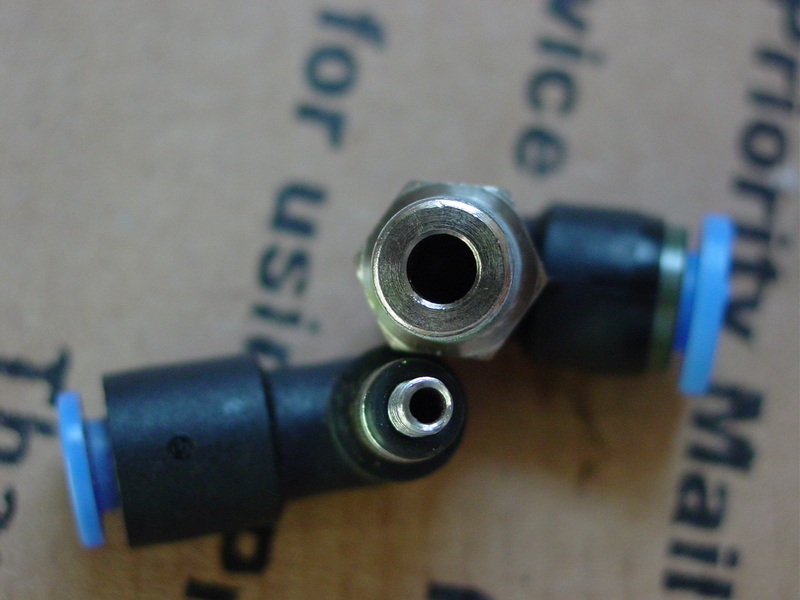 Cut the tubing with a razor blade, not scissors or snips and push it into the quick connect fittings. All done, from the front you can’t really see the tanks, fittings or tubing. With the number plate on, I can still adjust the valves. While it is not as easy as if the tanks were mounted up higher, I think the extra protection will be worth that inconvenience. I was running my oil height at 125mm, but added initially just 5mm more of oil. I should be able to run a higher oil level with the extra capacity of the tanks, but wanted to start out low since it is easier to add oil than remove it. 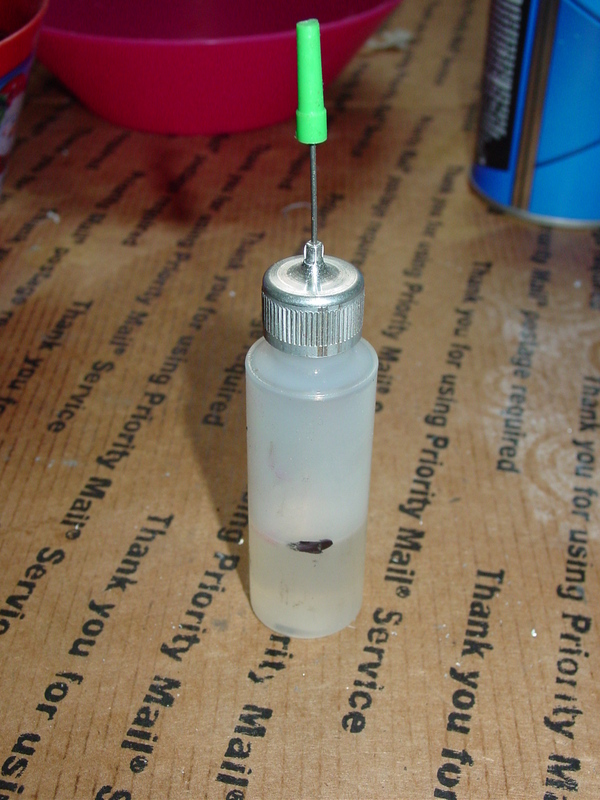 To make adding oil in a controlled manner easier, I removed 5mm of oil from the forks and then measured that out into this little fill bottle and marked it. Now I know how much oil it takes to raise the level by 5mm. To add oil, I just unplug the hose from the quick connect fitting and empty the bottle. I’m optimistic that these tanks will live up to the hype I’ve read about. 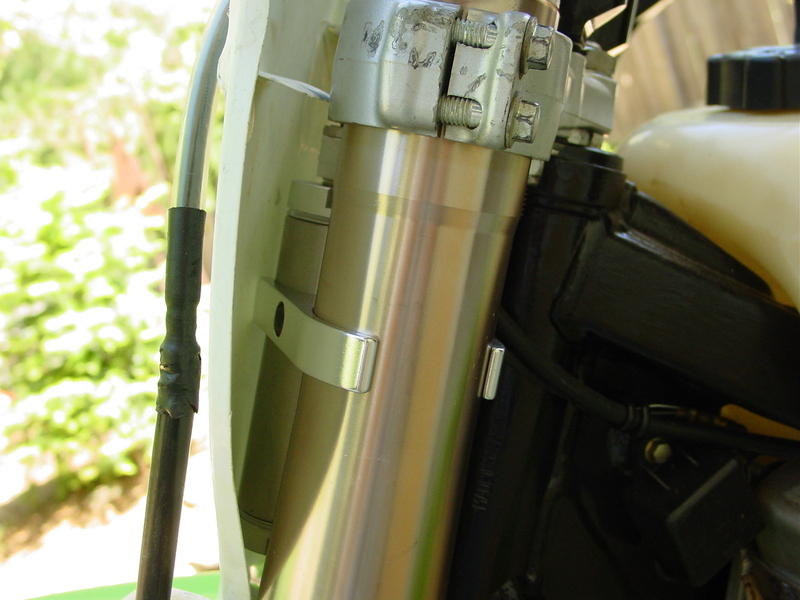 As I was aligning my forks, I closed the valves (to bypass the tanks and have the forks operate normally) and did the regular bouncing/grabbing the front brake routine to get the forks aligned. Once I was done aligning the forks, I opened the valves 5 turns (I believe these valves have a max range of 10 turns out) and did the same brake grab exercise. The difference was very dramatic and noticeable. Looks like my next riding opportunity will be in several days, so we’ll find out how they work then. 4.26.11 Update: We went back to Highland Park and I was able to really test the subtanks out. I was on the bike riding for about 4 hours. I started with the subtank valves closed so I could set a baseline. 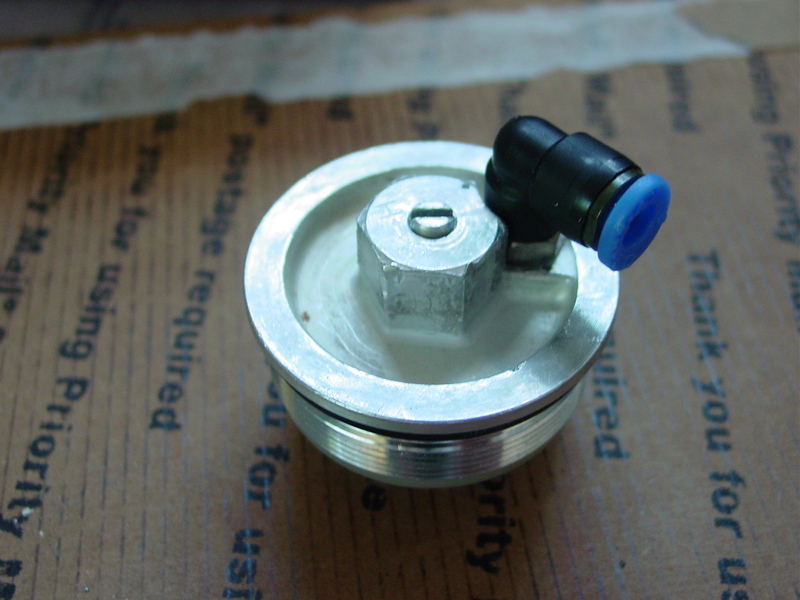 Then I started testing different valve openings. I think I’ll leave them at 3 turns open, but I’ll likely try more settings in the future. 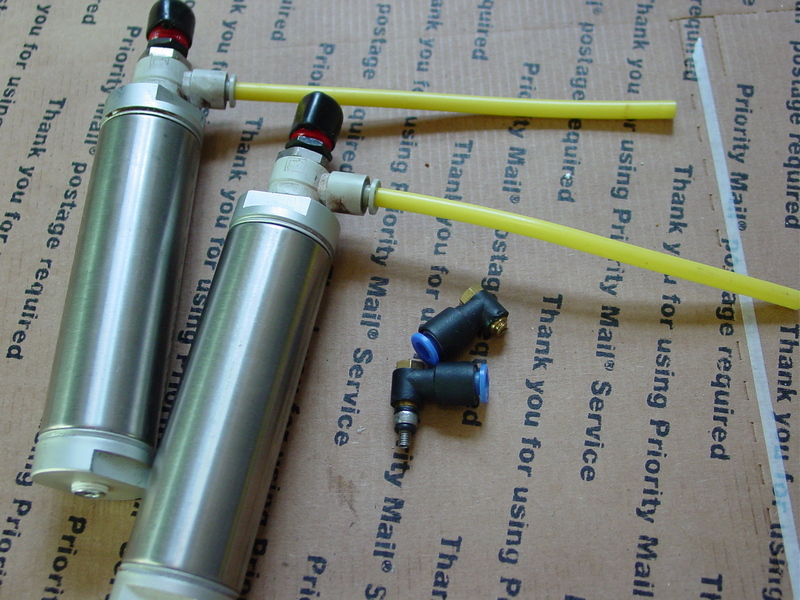 Now for what really matters – the subtanks made a big difference! Bottoming was still good, but the ability to absorb the small stuff increased dramatically. The biggest benefit I noticed was that my right hand didn’t go numb. Usually I’ll start having problems after just 15 minutes of riding. 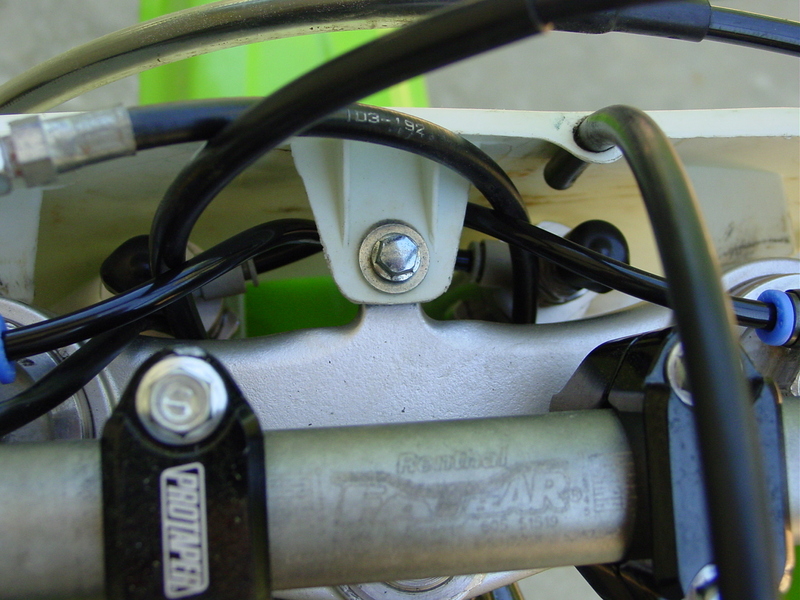 It will eventually get bad enough where I can’t tell if I’m pulling in the front brake lever or not. This happens every single time I go riding. But after 4 solid hours of being on the bike, I had no problems with numbness. This entry was posted on April 15, 2011 by Harold Bawlzangya Racing. It was filed under Modifications .